The stones show the point on the horizon where the sun sets on the day of the new quarter in spring. 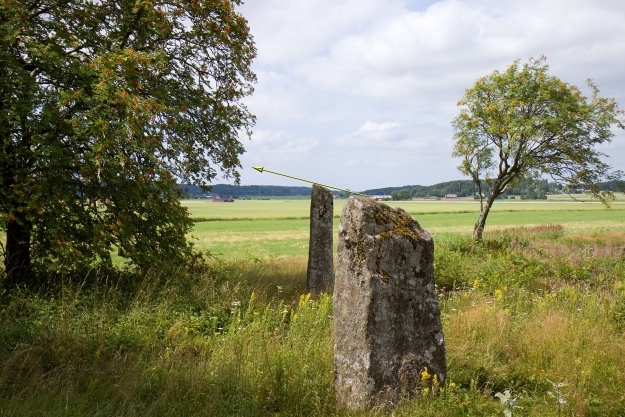 The distance between the stones is 8.3m. The sunset on the on the day of the new quarter can be seen today. The next date on which this will occur is April 17 2015, 20:10.